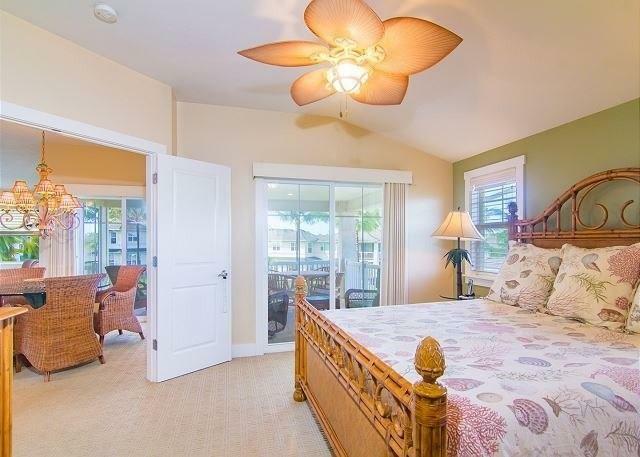 Desirable Building 14 Plantation at Princeville top floor unit with gorgeous mountain and distant ocean views. Close access to pool, waterfall feature and BBQ area, fitness and business center. 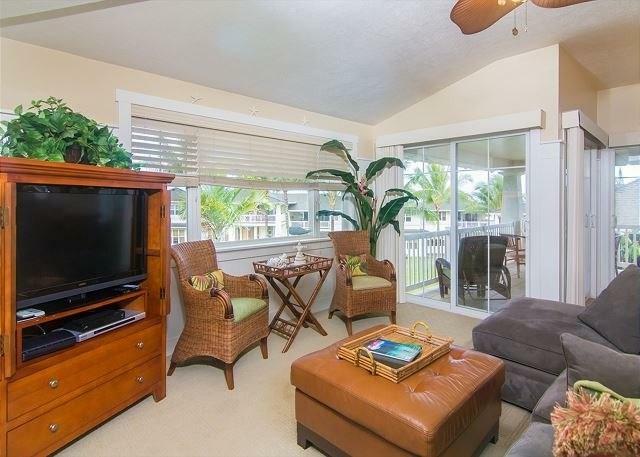 This is a successful turnkey vacation rental sold totally furnished. 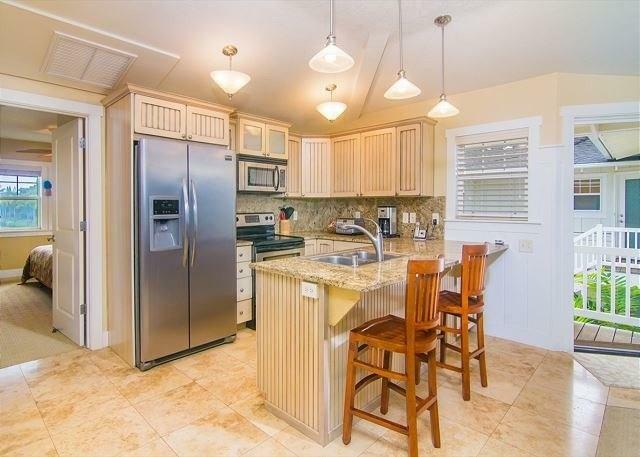 This is the "top-tier $50,000 developer upgrade package with granite counter tops, upgraded craftsman wood cabinets, "better tile and carpet. Designer wainscoting adds unique character along with unique designer paint colors in all rooms. 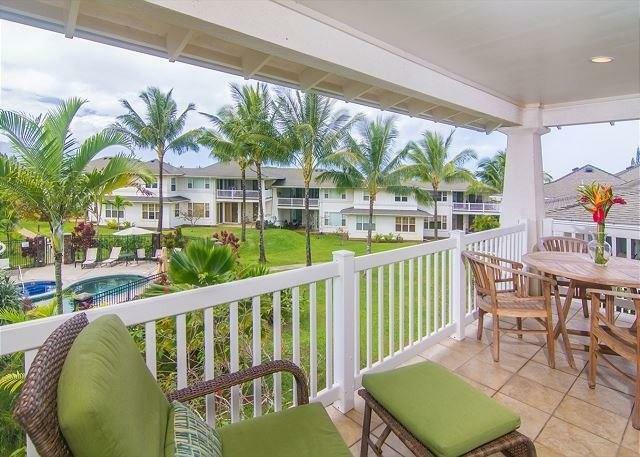 "Larger-than-most covered lanai functions as an outdoor dining room with impressive evening sunset views.